Animal sacrifice  now quite rare or replaced with some token act as cutting a goat's ear, was made during the night. Such things are still practised by illiterate and backward sections of village population. It is commonly believed in villages that during the black nights Shitala Mata emerges from her temple and roams around looking for her preys, obviously the evil forces. However, with such things in mind and due to her terrifying look villagers, particularly women and children, avoid going close to her temple during the night. 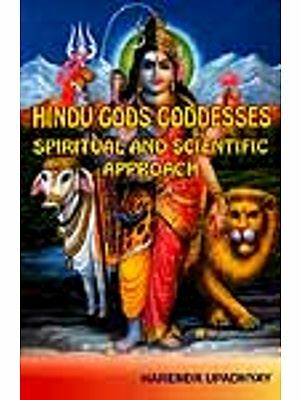 Thus, primarily the goddess of granary to include assured rains, good crops, accomplishment of entire procedure and securing food-grains from ruin and decay, Shitala Mata has a form in which these functions manifest. 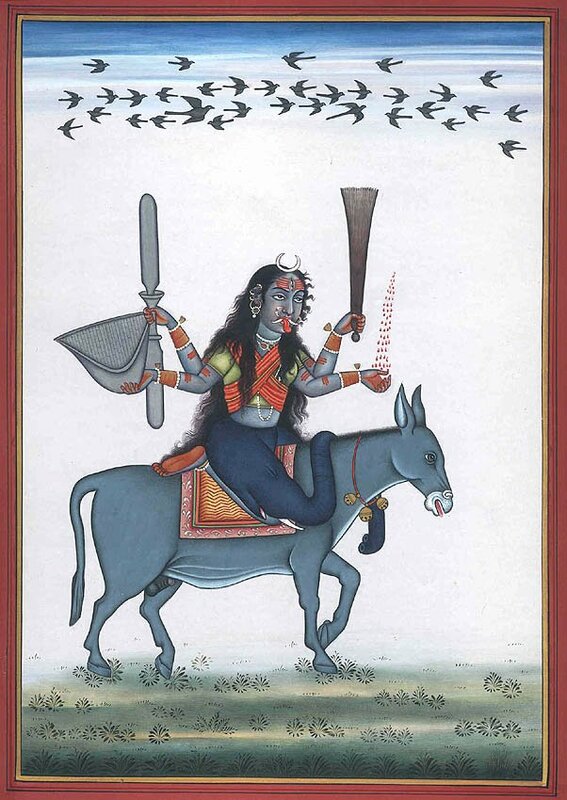 Though she has also some other forms of Kali, this manifestation of the goddess, carrying in her hands a winnowing basket, pestle and broom, all required to obtain grain, besides a string of grain falling onto her fourth hand, is her more characteristic form. Pestle thrashed spikes to obtain corn, broom separated it from chaff and bran, and winnowing basket removed even their finest particles. They depict thus four essential stages of production  growing, processing, finishing and obtaining final product. Waste or what degrades product's quality is rigorously removed. Most significant is her mount donkey, symbol of ceaseless untiring unresisting toil. It does not gallop like horse or is not aggressive like a lion but has a steady pace and is patient and industrious  things essential in productive process. 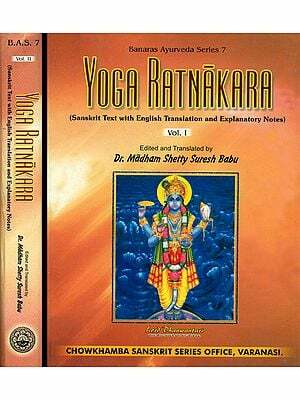 Thus, keeping away what degenerates life's quality apart, Shitala Mata stands broadly for growth, development and material well-being. Tantrikas claim that the presence of Kali in her form as Shitala Mata, who is the protector of granary, assures abundance and effluence. The four-armed Shitala Mata shares with Kali many of her iconographic attributes but not all. She has strange appearance but not as terrible and frightening, and loathsome in the least, as has Kali in her most other manifestations. She is black and dark like Kali and has similar dishevelled hair but is not naked as Kali is almost always. Unlike Kali's long loose naked breasts her breasts are largely covered with a cross-like worn sash and are round and normally modelled. Though she wears around her waist covering her lower half the elephant hide, obviously an attribute of Shiva, she is wearing neither the garland of fresh decapitated human heads nor girdle of severed human hands, and neither she has children's corpses as her ear-rings nor serpents as her ornaments. On the contrary, she is putting on usual bangles, nose-ring, set of ear-rings, anklets and various neck-ornaments, made of pearls and precious stones. She has like Kali long sharp fangs and blood-smeared tongue rolling out her mouth but not claw-like hands and long nails. She has instead of quite beautifully modelled fingers and palms and feet painted with henna. She has on her forehead Kali-like third eye but flanked by 'tripunda'  the Shaivite mark comprising a set of horizontal lines, its strangeness has been negotiated. Crescent is more prominent, perhaps because a formal attribute in Kali's iconography becomes here a feature of the cool, creative personality of Shitala Mata. Rows of crows in the sky are quite similar but corpse on which Kali sat in the cremation ground and jackals and goblins which surrounded this corpse are completely missing. 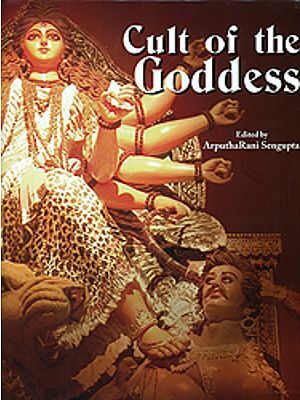 The goddess in this form has her hands aloft, as Kali has in battlefield when fiercely attacking her enemies, but unlike Kali who carries instruments of death - sword, trident or skull-bowl filled with human blood, she has in her hands means of life.